The VFX technology is becoming more advanced with each passing day and every now and then we get to witness a fine example of what computer generated imagery or CGI can do in enhancing a movie’s visual experience. There is now even an award category for visual effects at the Oscars and we just cannot imagine a world without VFX anymore. As more filmmakers take to incorporating visually appetizing VFX and CGI technologies in their movies, let’s take a look at how one of the most recent blockbusters Guardians of the Galaxy Vol 2 has brought two of its main animations to life. Yes, we are talking about Baby Groot and Rocket Racoon! 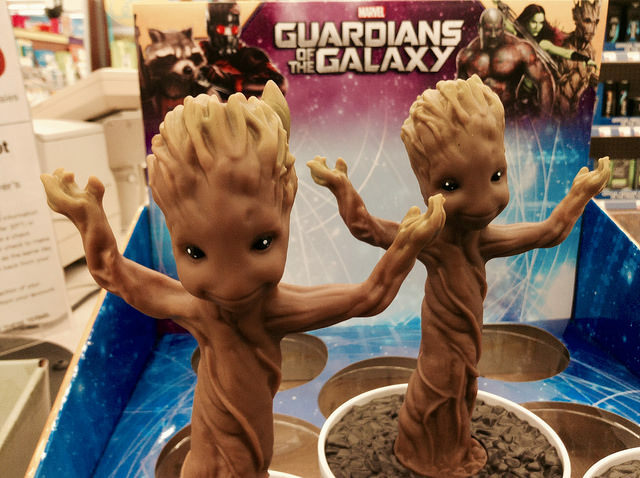 After earning an Oscar nomination for Captain America: The Winter Soldier, Marvel Studios came out with another visual gem in the form of Guardians of the Galaxy Vol 2 featuring a massive talking tree and an armed raccoon, both of which eventually turned out to be a humungous success on the box office. Marvel Studios collaborated with two famous VFX studios namely the MPC that created the cute and sentient Baby Groot and Framestore that developed the Rocket Racoon. As the supervisor for VFX Marvel, Stephane Ceretti recalls in an interview, they tested the two companies for the twin characters and finally decided to hire both for ensuring a balanced operational process. With Bradley Cooper providing the voice over for the famous walking talking Rocket Racoon, the studio had to ensure a balance between the silly cartoonish element of the character with his serious affinity for gigantic arms and ammunition. So, the idea was to create a character that doesn’t appear too childish that the mature audience is unable to connect with, or over realistic to lose its charm and entertainment factor. When it comes to Groot, MPC were primarily required to deal with the issue of creating a large animated tree with a few human like expressions and a limited vocabulary. Since they were working with a wooden structure, it was impossible to provide Groot the flexibility of emoting with his facial features. As such, they decided to employ the use of his eye dynamics and the displacement of his irises for breaking the symmetry and creating a more human-like form.